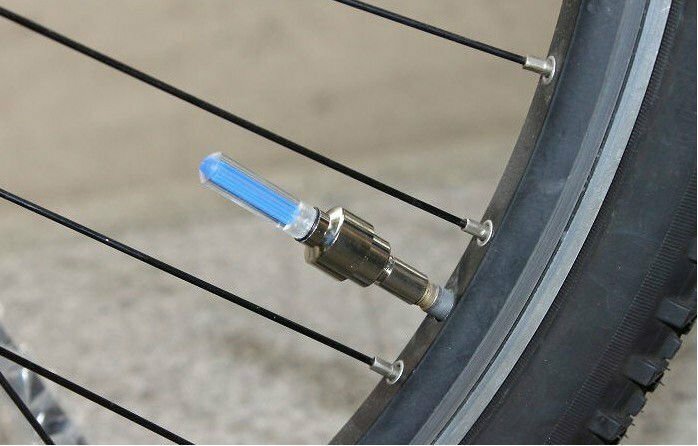 Bike Wheel Led Lights Instructions. Led lights are available in 4 Colours. Unscrew the main body, being careful not to lose the batteries. Locate and remove the piece of plastic covering the batteries. Screw the main body back together. Shake your light to make sure it works, if not check the batteries are the right way around as shown in step 2. Now simply attach to your tyre air valve and you are set to go.